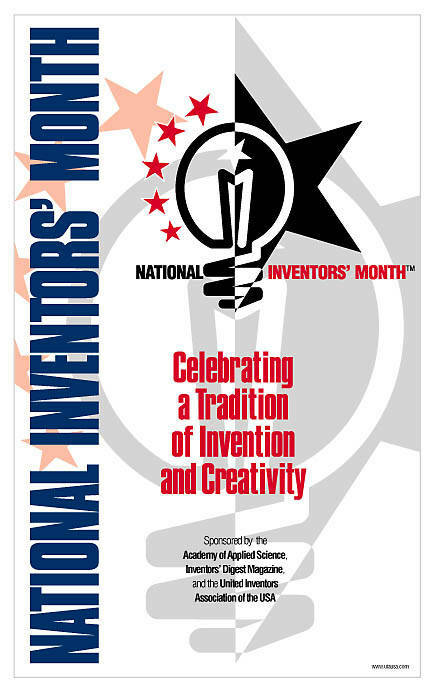 May is National Inventors Month! Don´t you think that May is a wonderful month? It´s getting warmer, nature is in full blossom and love is in the air. But there are some other interesting things worth knowing. Did you know that no other month begins or ends on the same day of the week as May in any year? Or that May is National Inventors Month? Yes it is! As you can read on inventors.about.com it was started in 1998 by the United Inventors Association of the USA, the Academy of Applied Science, and Inventors‘ Digest magazine to honor inventors and creativity. Join a local UIA sponsored inventor club. Encourage your family and friends to take action on their ideas. Visit a local school and share your inventing journey with them. Help a child understand the wonderment of inventing. These simple, yet important efforts not only lead us to become better inventors, but show society we are good stewards of the trust they bestow upon us.